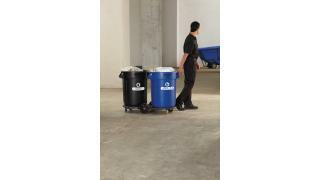 An adaptable recycling solution offers a front-of-house look with back-of-house functionality. 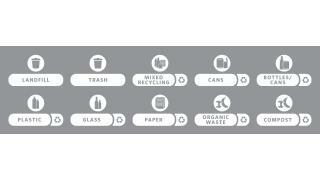 The waste stream label kits contain ten intuitive waste stream decals, ensuring waste sortation accuracy. 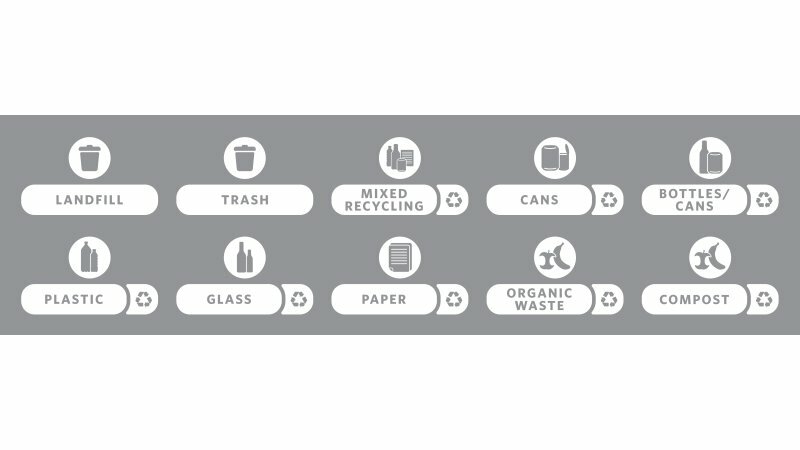 Each label kit includes the following ten waste stream decals: Landfill, Trash, Mixed Recycling, Paper, Plastic, Glass, Cans, Bottles/Cans, Compost and Organic Waste. Waste stream labels are sized to fit Slim Jim Recycling Station billboards. Label kit has English (United States) verbiage. The Rubbermaid Commercial Slim Jim® Recycling Station offers a front-of-house look with back-of-house functionality.